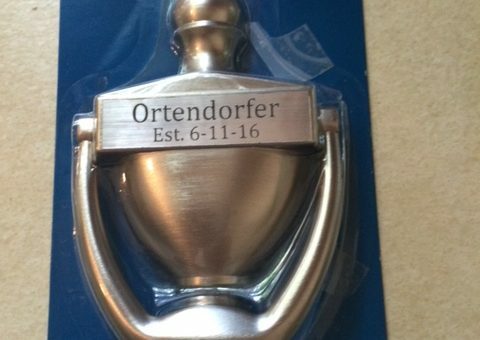 The Ortendorfer's real estate agent was looking for a special gift for her client's closing. 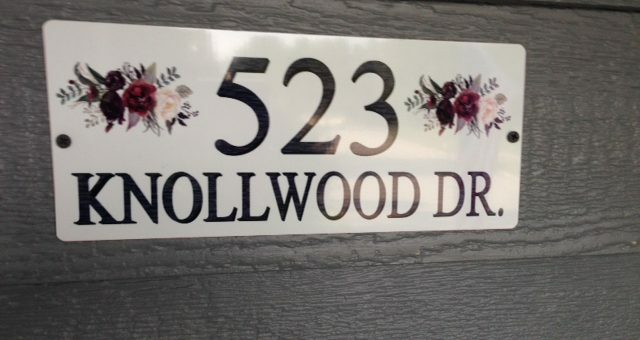 She chose a door knocker personalized with the couple's name and date of closing. Don't leave them guessing. 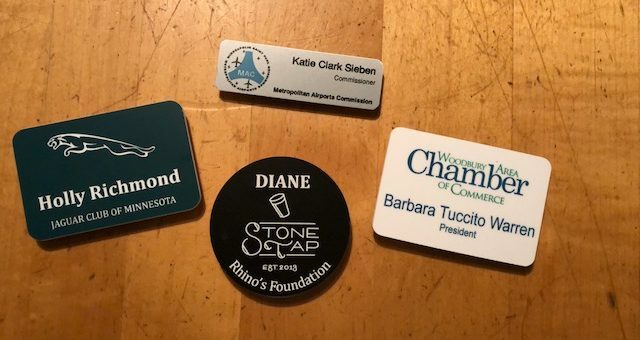 Name tags of all shapes, sizes, colors, and materials are available through Engravers Connection. When Aaron and Kaitlyn were planning their wedding, they wanted to thank their guests by providing them with a memorable item from their special day. They picked a wine glass etched with their names, wedding date, and "Let Love Grow" on the back. When Greg Rome retired from Delta Airlines, his co-workers wanted to do something special for him. 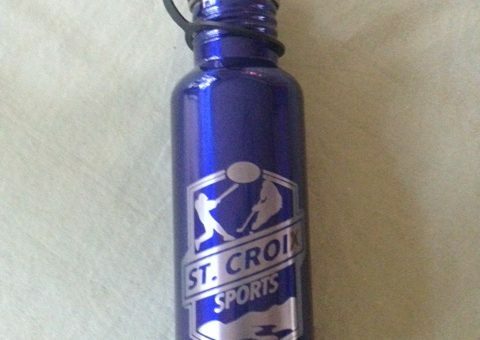 Thus, they took him on a fishing trip and presented him with an engraved 64 ounce flask, complete with his favorite beverage, commemorating his years with the airline. Joy's mother was having a tough time due to illness. Her daughter wanted to do something for her birthday that would cheer her up. The solution was to engrave one of her mother's favorite motivational sayings on a rough piece of wood. Use custom signage to direct, identify, and promote. Available in a wide range of colors, sizes, materials and designs. Mugs of all kinds are a great way to promote businesses, special occasions, causes and events. Stone Tap, a craft beer and restaurant in downtown Hudson, gave their cooks baseball caps with the company logo to wear while working. To memorialize their friends, the staff and residents of Stonecrest dedicated a bench on their walking path to Pete and Edna Menning.